I'm always skeptical when I read the words, "healthy" and "cookie" in the same sentence, but I suppose if I compare these to regular oatmeal-raisin-chocolate-chip-cookies they ARE healthy! 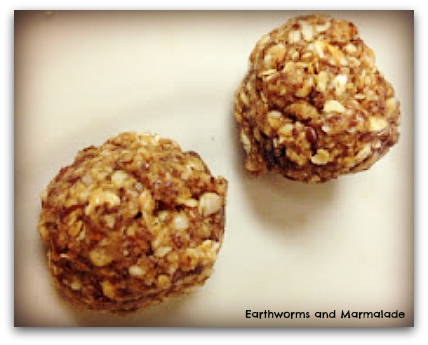 There are tons and tons of energy ball recipes out there, and so one more won't hurt anyone! I adapted the recipe from Smashed Peas and Carrots. 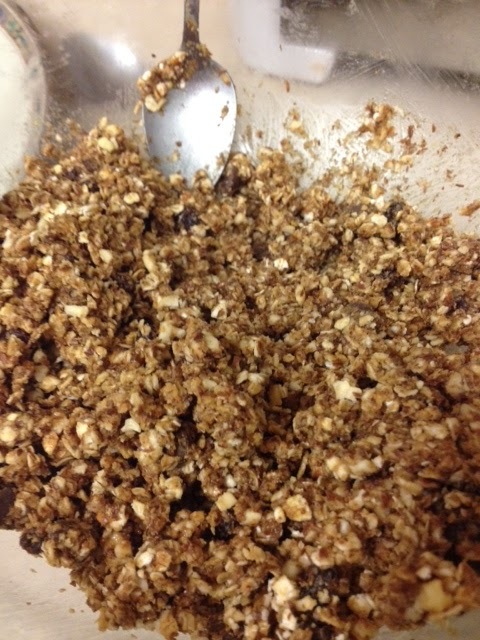 I don't care too much for coconut that isn't fresh, so I ground up all the raw almonds that I had and used them instead. I would have used walnuts if I had had any! They turned out super nutty and delicious. 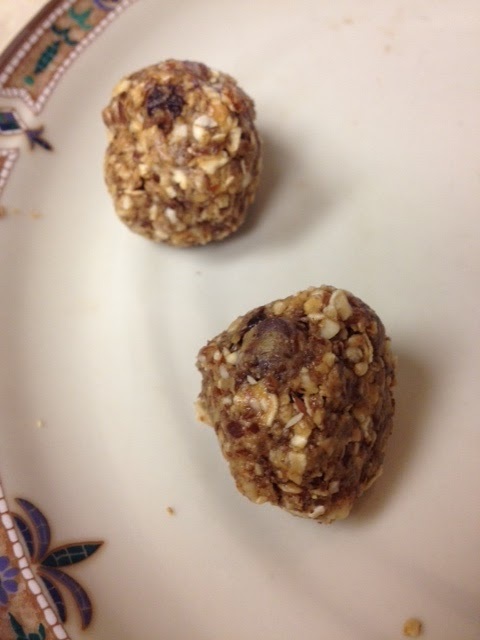 My mixture was a bit drier that the photos I've seen of other nut ball recipes, but they formed balls just fine. My kids call them Round Ball Cookies. Works for me!! Combine all the ingredients in a bowl. Roll into golf ball sized balls. Eat! 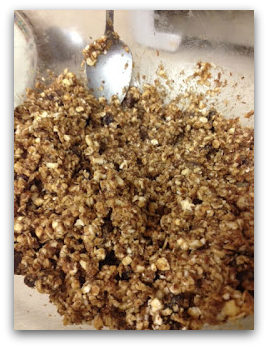 Some recipes call for the mixture to be refrigerated for a bit before forming the balls. I just couldn't wait, but it might have made the ball process a bit easier! There are so many options!!! 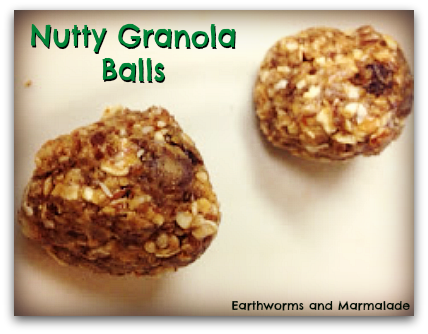 What would you put in your Nutty Granola Balls?